Foreign Room: Hello, September + Blogtember. Hello my lovelies! Happy September! Boy, am I ready for fall. Yesterday when I was up in the city, I could really feel it. My oversize sweaters are almost calling my name. And my boots... Oh don't get me started! As I mentioned yesterday, September is going to be pretty busy and wonderful, both in Blogland and Real Land (?? I didn't want to say 'real life' because this is real life! But I think you get my point... Now taking name suggestions!) I have a few new series and projects coming your way, and believe me, I'm excited! So, the first series to be introduced is Blogtember! Jenni over at Story of My Life hosted Blog Every Day in May (you know, the one I never finished...) and since it was such a hit, came up with a second round of new prompts to create Blogtember! 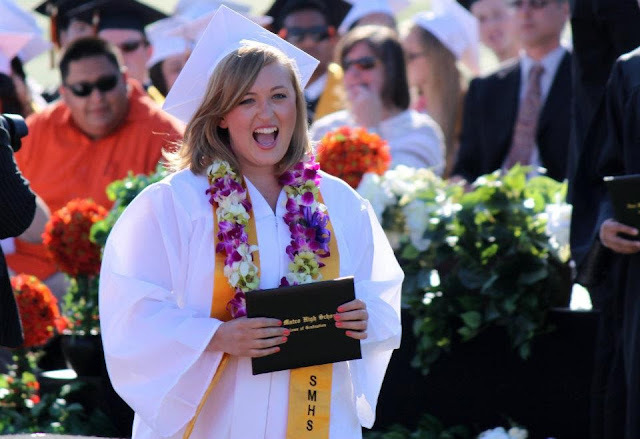 If you don't already know Jenni, then you really should because your day will instantly become more awesome. She has an amazing story, is a photographer whom I look up to, and hails from Austin, TX (my new favorite place, of course!). I decided that I wanted to set myself up for success with this whole Blogtember thing and only answer the prompts that speak to me. This way, I am not tied down to it every day, and there's more variety around here. 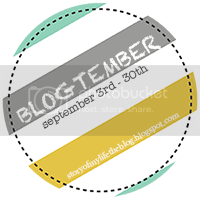 So, Blogtember will be sprinkled in here and there throughout the month, starting with today! Describe where or what you come from; the people, the places, and/or the factors that make up who you are. I am like a puzzle and each person, place, and thing that has had a significant role in my life is a piece of that puzzle; a piece of me. I have touched on this subject lightly here, but I was raised by my dad. And with the help of bunch of other family members. My mom couldn't help raise me because she just physically and mentally couldn't do it. There is, of course, a lot that goes into this, but that is a story for another time. In fact, I may just need to write an entire book on that subject. At any rate, it was a sad reality that I had to come to terms with at a very young age. 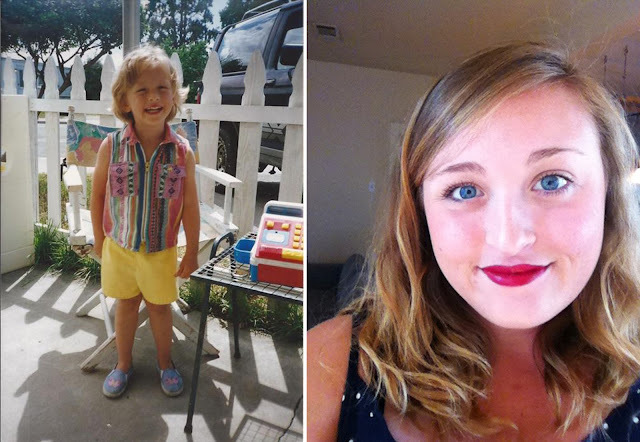 I have really fond memories of her up until age 6 or 7, but after that... After that I had to see things as they really were and accept the fact that I was not going to have the "typical" childhood many of my peers would and that my mom would not be very involved in it. But you know what? It took a while, but eventually, I was actually okay with that. 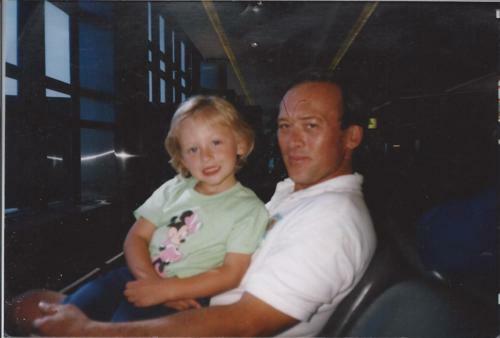 I was young, I was resilient, and I knew that everything would be okay, just as long as I had my dad by my side. People who know the chunks of the story surrounding the circumstances with my mom are in awe of how I was able to rise against that unfair situation and not let it get in my way of becoming the person I am today. They make it sound a lot more tragic and heroic than I ever thought it to be, but then again, it all became very normal to me. So this puzzle. I have been fortunate enough to have wonderful siblings, aunts, uncles, cousins, friends, teachers... You name it. I feel as though throughout my life I have taken the best of what all of these people have had to offer to form my own kind of "Super Unit" (just made that up, thank you very much) pseudo parent of sorts. I have my dad (whom I love dearly) and then I have all these other people who, together, make a transformer-robotron-whatever type thing that filled the gap of not having my mom around as best as it could. As I get older, I realize that I wouldn't really have it any other way, if I am being honest. I moved around a lot growing up, which has also made me who I am. I adapt. I am open minded. I can handle change better than a lot of people I know. I am able to talk to people, and to easily make friends if I want. I am an observer, and a thinker. I try to look for the beauty in the mundane and the every day life. I love others and give them all I have. This is not all to say that I am awesome (I mean, you already know I am, am I right?! ), but it is to say that this is truly who I am. I suppose I could give you my family history, some maps of where people lived, and some old photographs of people you, quite frankly, don't care about. But you are here to know me, as that is why you probably read this entire post and maybe even some of you visit this space often. I still don't have all the pieces, and I probably never will, especially since my mom holds on tightly to her piece that I am not sure I will ever get. And besides that, to have all the pieces is to stop growing and changing and thinking, and that is not something I intend on doing. I hope that you are liking Blogtember so far, and that you decide to stick around to see what other exciting things will be going on here later this month! Ohh, I love the gray and white color contrast on your blog. I am ready for fall too. It is far to hot here in TX. Where did you move around to? I'll definitely stick around for more! What a perspective! I (obviously) wasn't very familiar with your family and childhood background, but you've just gained +200 respect points from me. Keep making everyone proud! Thank you! Oh my goodness, Texas... I just spent two months in Texas! So I feel your pain! Blogged about it a lot in July/August if you're interested :) Where in Texas do you live? I was in Houston for that time, but visited Austin (IN LOVE!) and Dallas too. I grew up in San Diego and moved around to a lot of different parts of it. Then, 7 years ago we moved to the San Francisco Bay Area and have been here since. This is the longest I've been in one place! Before that we were moving about every year or so. So tiring!